How To Make Homemade Seed Starting Containers. Biodegradable, Earth-Friendly, And Free! As the beginning of the year rolls in millions of home gardeners begin their annual ritual of starting seeds indoors. There is nothing quite like growing your own vegetables and flowers from seed. Not only is it rewarding, it’s also a great way to save money! 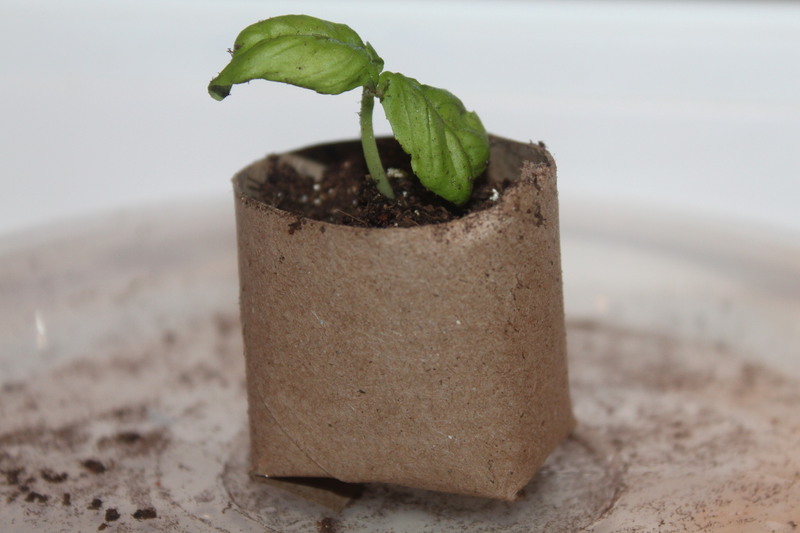 Homemade seed starting containers made from left over paper towel or toiler paper roll holders. And that’s why we love this weeks gardening tip from Steve in Davenport, Iowa. It takes the whole growing your own / diy / cost saving concept to a new level. As Steve explains, there is simply no need to waste money on expensive, plastic seed-starting containers. All you need is a pair of scissors, a few paper towel or toilet paper cardboard tubes, and a little dirt. With those simple supplies, you can make your own, earth-friendly, bio-degradable homemade seed starting containers, for free! Once your seedling is ready for the outdoors, you simply plant the entire pod (container and all), right into the ground. It will disintegrate and allow the roots to spread into the surrounding soil. Lets take a look at how Steve make’s his containers. And if you have your own unique way of starting seeds indoors, be sure to leave a comment below to share with others at the end of the article. 1. Using scissors, cut a standard toilet paper roll in half and if using a paper towel roll, cut the roll into three pieces. 2. Cut 4 evenly spaced ½” slits into the bottom of the roll. 4. Fill carefully with wet soil, and set in a baking sheet or plastic lid. Fold in the bottom of the roll overlapping and underlapping each corner. 6. You can use an aluminum pan or baking tray to easily set in all of your homemade containers to keep them upright and easy to maintain. 7. Once it begins to germinate, remove the plastic lid and place mini-planters in an area with light. 8. Set outside 2 weeks before planting outside to allow the seedlings to adjust to the weather. 9. When ready, plant each mini-planter directly into the garden or pot. Open up the bottom flaps when planting to allow the roots to expand quickly. Share Your Gardening Tips And Advice With The World! Thanks Steve for sharing that great cost saving and earth-friendly idea! Do you have a gardening tip like Steve’s you would like to share? Then email us your tip today at info@thisismygarden.com. You can also use our “Feature My Garden Tip” button at the top of the website for your entry. Help make This Is My Garden the best garden site around and share your garden knowledge with fellow gardeners! 4 Great Flowering Shrubs and Bushes For Incredible Curb Appeal! 6 Spring Vegetable Crops To Get Your Garden Growing Early! February 27, 2019 TIMG Comments Off on 6 Spring Vegetable Crops To Get Your Garden Growing Early! This is a really great idea Thx ? Hello, I am new at this . so this will help me out alot. All i have room for is a pot garden. i would like to make a little pot garden on my porch. were it is ez to take care of .